This five day magical program is open to FEEL Practitioners only! The first Advanced Spiritual FEEL Training workshop took place in August. It was a phenomenal experience for all ten FEEL Practitioners who attended, ourselves and the horses. During your FEEL training, you personally experienced many shifts of consciousness allowing you to travel and feel many levels of awareness. There is tremendous transformative potential using non-ordinary states of consciousness. Many of you are interested in shamanic and spiritual healing techniques to further develop your capacity for soul-based and heart-centered wisdom during your work with the horses and your participants. This workshop is an excellent step towards your personal growth in connecting at a deeper level with one’s own inner wisdom and non-physical helpers and guides. Our focus will be on learning how to facilitate the Spiritual Journey Ride both on horseback and walking beside a horse, Guided Table Top Healing, and Drumming Journeys. In addition, become trained in ceremonial horse centric practices. All of these Shamanic techniques can reveal, release, and transform the patterns and barriers that inhibit and stifle a person’s growth and create an opening for their creative energies. In this advanced training, your intuitive abilities are stimulated to expand even further. As a facilitator this workshop will forge a deeper awareness and connection with seen and unseen energies. It fosters a deepening bond with your horse partners, allowing you to enter their world. Receive a certificate for Advanced FEEL Training and have the designation of Advanced Practitioner added to your information on our website. In the coming years Horse Spirit Connections is moving towards a ‘train the trainer’ program so that Advanced FEEL Practitioners will be able to offer the FEEL Certification program after further training in the certification process itself. We have been revamping our training curriculum and are in the midst of developing an online educational component for the program. For this Advanced Training workshop, we are offering this inspiring five day workshop at a special low price of $955 plus HST. This includes lunches, snacks and materials. A deposit of $400 will hold your space for this inspirational experience with the horses. Limited to 10 participants. We look forward to leading you in this intense ride to a new awareness enhancing the gifts you already bring into the world. The FEEL Alumni is a membership based association of FEEL graduates who come together to foster the partnership and spiritual connection with horses. Explore our journey of creating a community of people and horses in this episode of The Courage Herd's podcast featuring our own Wendy Golding. This has been an incredible experiential workshop filled with heart, healing and the magic of the horses. I have never before experienced such a deep connection with the horses – an expansion of communion with these wise beings. In the process, my connection to Spirit also gained greater depth. If you wish to bring greater purpose and heart to your FEEL path, then this advanced training is essential and deeply enriching. A powerful experience of healing and learning within a framework of higher consciousness, experiential, and embodied learning to take this work out on new levels. Wendy and Andre created a safe container for our beautiful group to harmonize and come together as a cohesive powerful group. The vortex of learning and connections was magnificent. 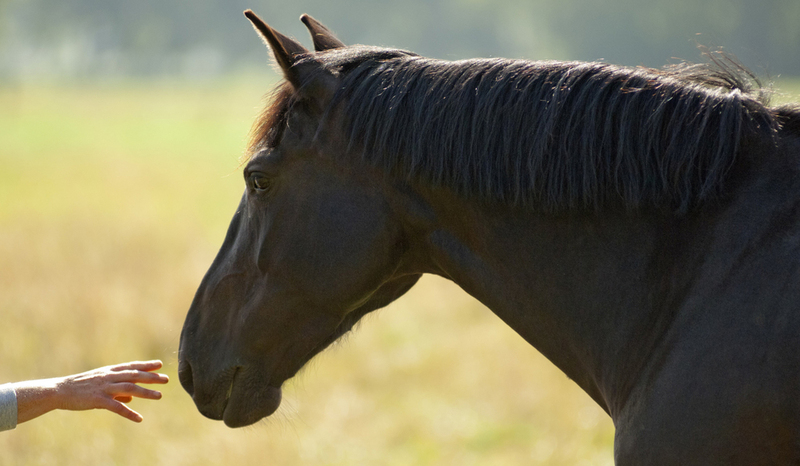 This course is a MUST for FEEL Facilitators to deepen and expand their connection with the work and horse and community. For me, I feel a deeper connection with horses and this work- expanding my excitement in sharing it with the world. What an honour and privilege to work with Wendy and Andre and the amazing healing horses at Horse Spirit Connections. This advanced training into deeper awareness, shamanic teachings and healings with doing the FEEL work has been a gift and has opened my heart and expanded my consciousness. This is an absolute – must do – for those wishing to connect to the horses, Horse Ancestors, and Ascended Horse Masters on a higher vibration . It also increases your skills to LIVE and BE in this higher vibration at all times and especially while doing the FEEL work – bring the work to a higher integrity, depth, and love.